US-based organisation that uses history to teach civic responsibility, tolerance, and social action to young people. Site includes free educator resources, lesson plans, online modules and video clips on the Holocaust, the Rwandan Genocide, apartheid South Africa, and other conflicts in history. Rich collection of online resources including timelines, biographies, lesson plans and books aimed at supporting the teaching of South African history in schools. 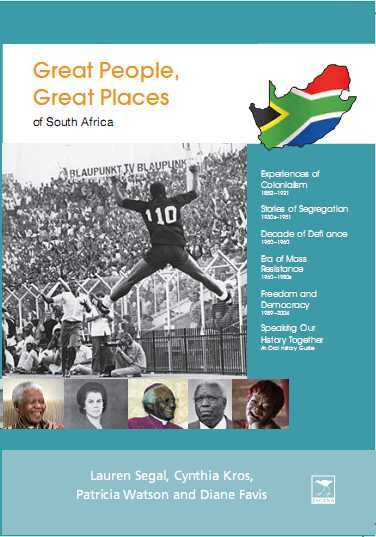 Developed by Michigan State University and aimed at high school educators in the USA, these resources and activities are designed for students to critically engage with multimedia materials in order to learn about apartheid and the liberation struggle in South Africa. SAHA has partnered with a number of organisations in order to extend the impact of its outreach and education work. The following organisations have played a key role in this process. Freedom of Information Project: Capacity building in the Community based Sector.